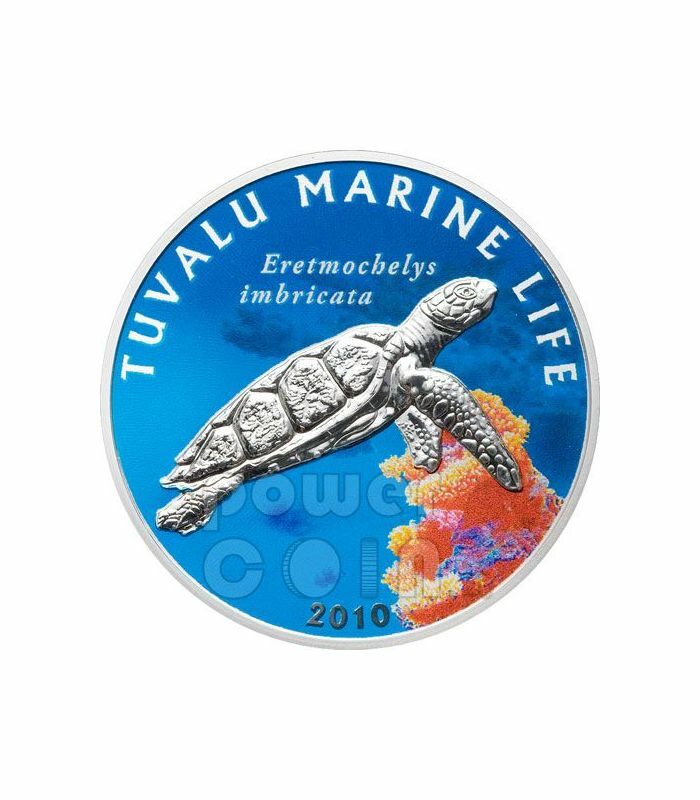 On coin reverse a relief turtle swimming on colorful ocean. 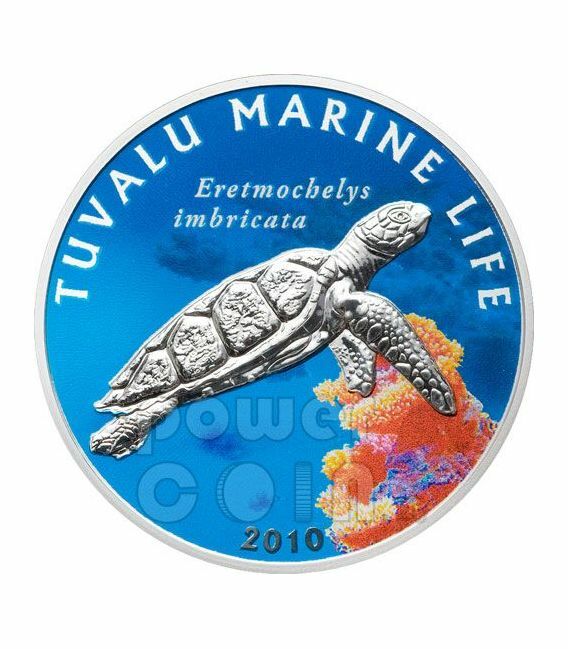 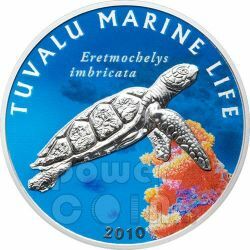 Above the inscription "Tuvalu Marine Life" and "Eretmochelys imbricata", and the 2010 year-date. 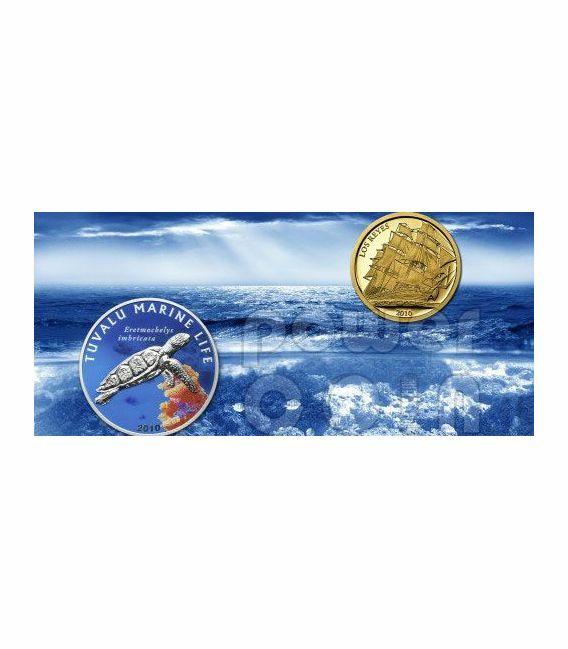 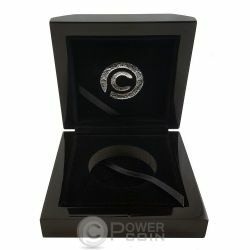 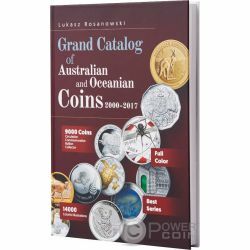 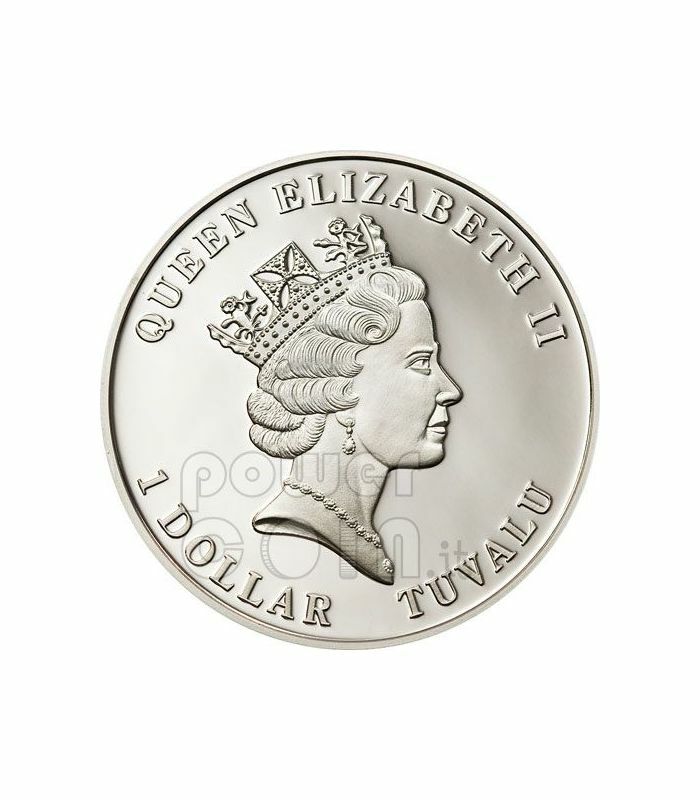 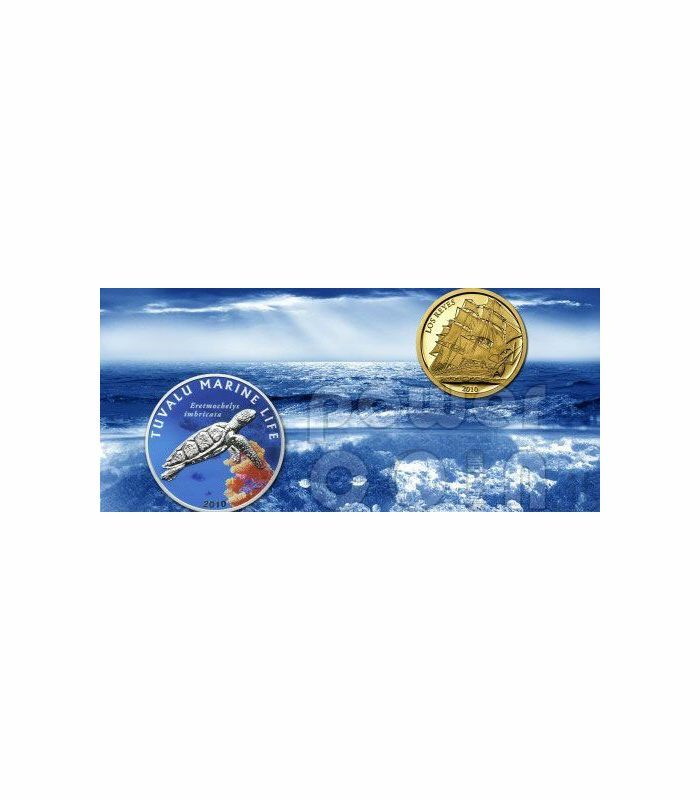 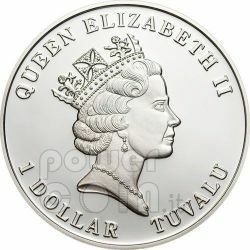 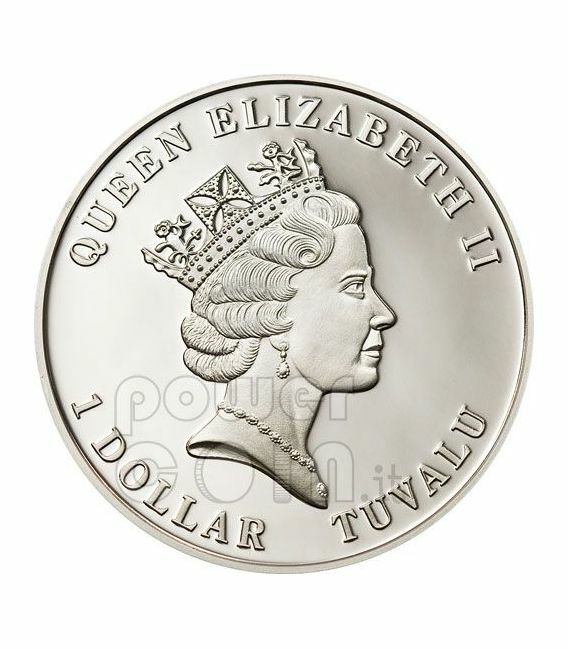 The coin’s obverse depicts the Raphael Maklouf effigy of Her Majesty Queen Elizabeth II.